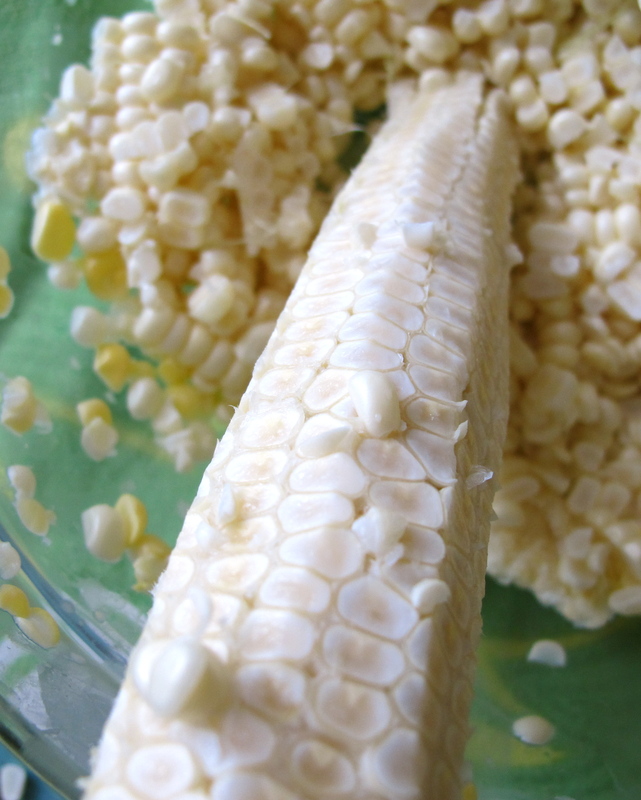 I first tasted corn ice cream in Quintana Roo, Mexico a few years ago. I have never forgotten the rich, sweet fresh corn flavored frozen dessert and have often tried to recreate it. I have used various recipes that I have found on-line and in cookbooks but I found them all too fussy & too lengthy (it shouldn’t be rocket science). 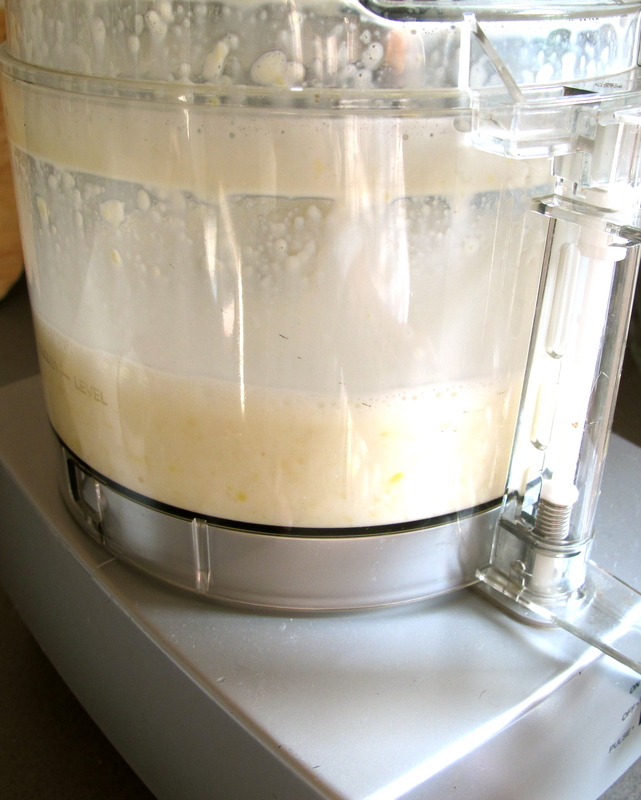 This week while at the Farmer’s Market buying some fresh corn I had a “corn ice cream epiphany” and came up with this recipe that is as good as my first tasting. Try this recipe which is simple and uses Peaches & Cream corn and you will be just as seduced by the taste as I have been. 1. I used an electric ice cream freezer. Whatever freezer you use prepare it according to the instructions that came with your freezer. 2. 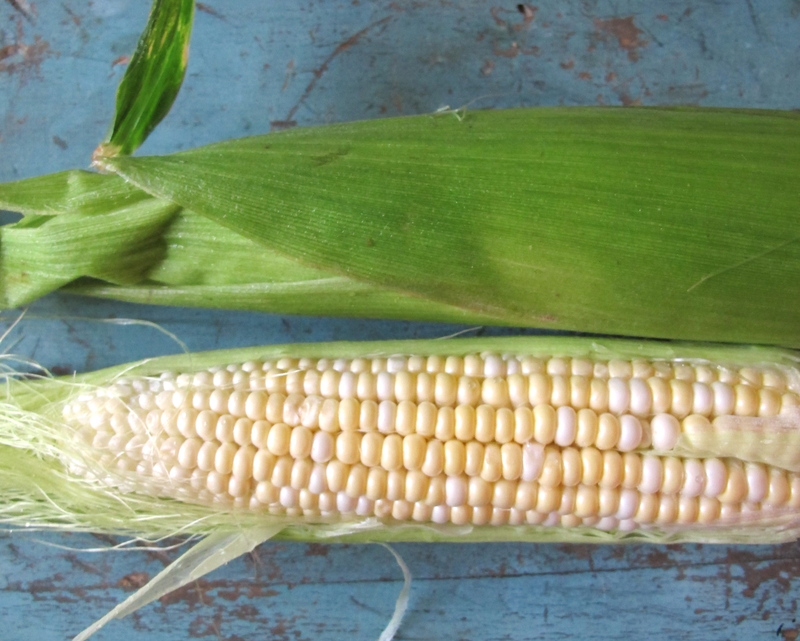 Shuck & clean the silk from 4 ears of sweet corn such as Peaches & Cream or Silver Queen. 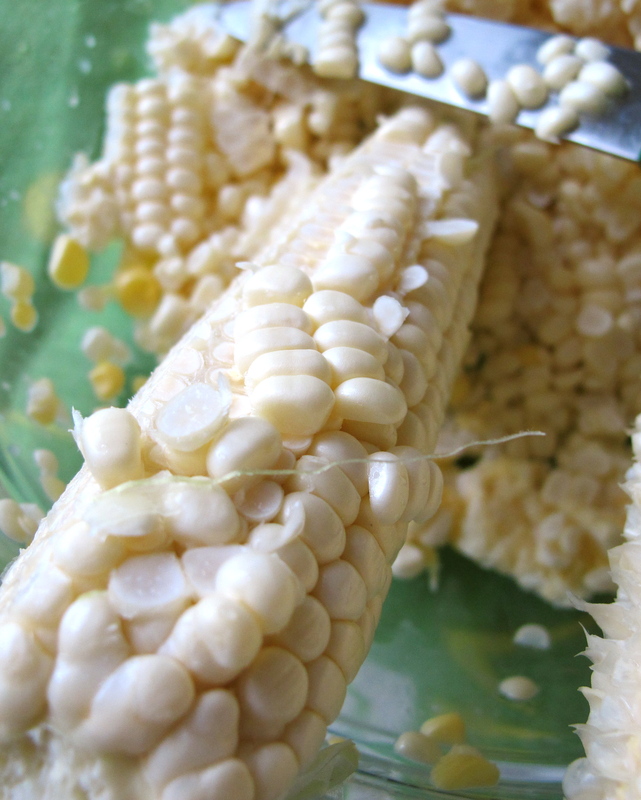 Using a sharp knife, cut corn from ears into a bowl. Then scrape each with the knife to “milk” the corn. Save one ear & cut into smaller pieces and set aside. 3. 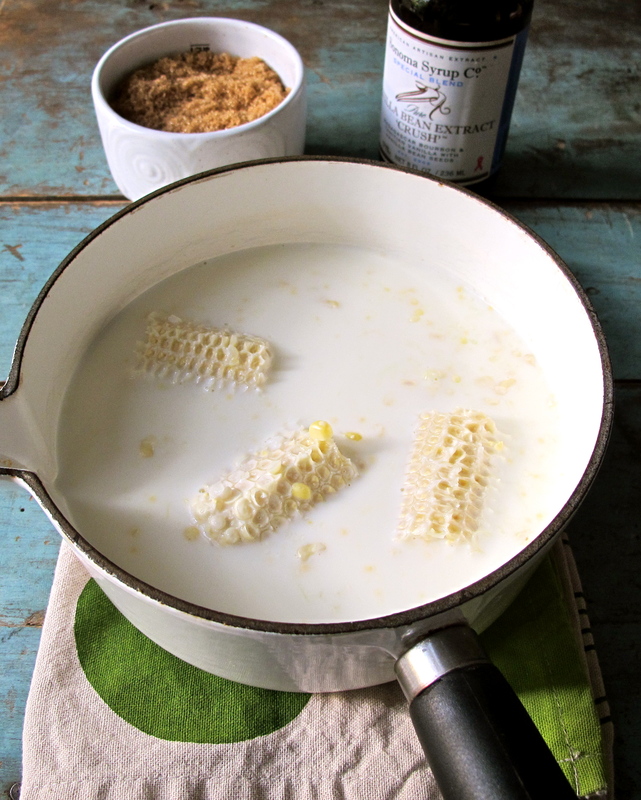 Place cut corn & cobs into a pan with 2 cups whole milk. Heat over medium heat until mixture comes to a low boil. Turn heat to low & simmer for about 8 minutes. 4. Remove pan from heat & take cobs out of mixture & throw away. Puree corn mixture in a food processor. 5. 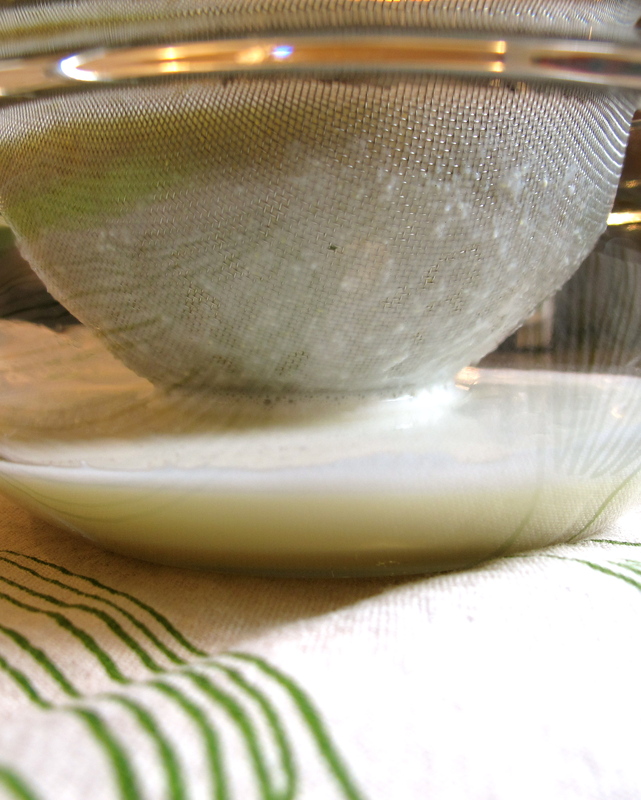 Pour pureed mixture through a mesh strainer sitting over a glass bowl. Use a rubber scraper to press liquid out. 6. 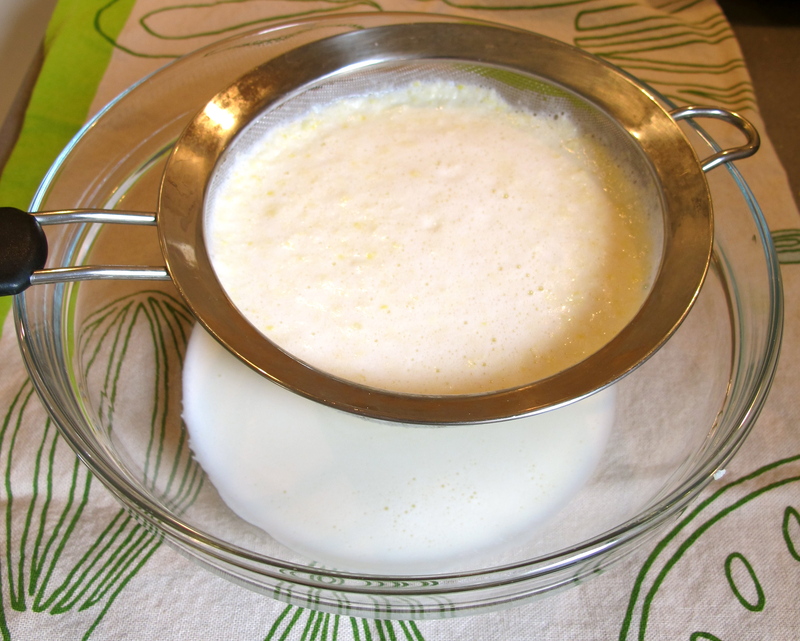 Into bowl of corn-milk liquid add 3/4 cup turbinado or raw sugar & 2 tsps vanilla extract. Stir until sugar is dissolved. Add in 1/2 cup cream & blend. 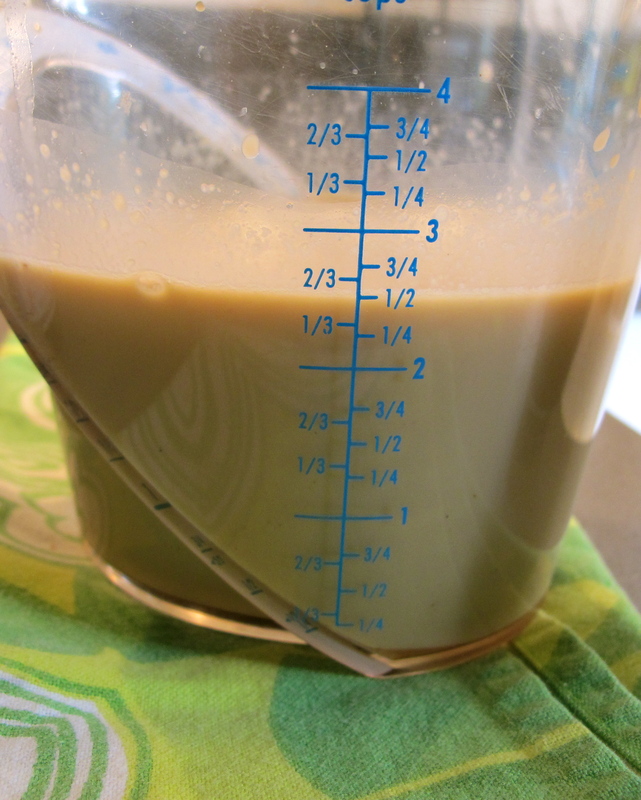 Pour mixture into a measuring cup…you should have about 2 1/2 cups liquid. If you do not then add more cream to make this amount. Cover & chill for at least one hour before making ice cream. The raw sugar & vanilla will give the mixture a caramel color. 7. Freeze corn mixture in ice cream freeze according to directions until creamy-frozen. 8. 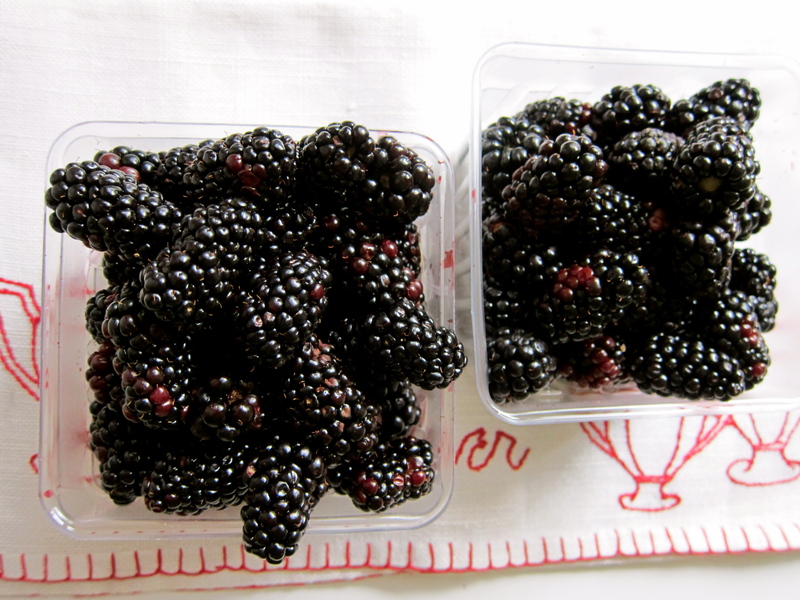 Serve immediately with fresh picked blackberries scattered over ice cream or cover & place in refrigerator freezer until ready to eat. It is very hard to describe the subtle deliciousness of this ice cream. 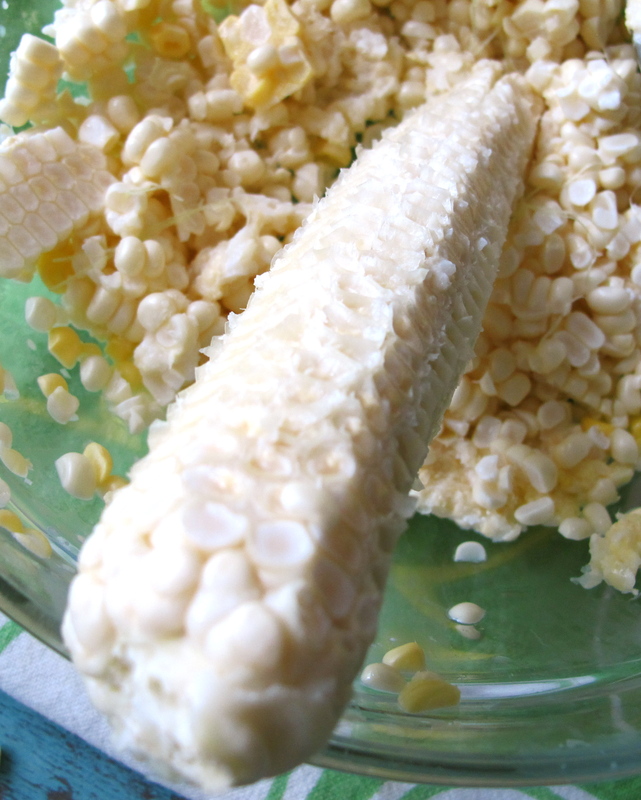 It is unique in the creamy sweet corn flavor with a hint of vanilla which is all rounded out by the raw sugar. looks great, think Im gonna try that and also go after a corn creme brule…But I think I will grill the corn just a bit for a little smokey flavor?? I think the grilled corn sounds like a nice touch.Let me know how it turns out. Thanks. Here in Quebec, we usually get our Peaches and Cream corn during our month of August. 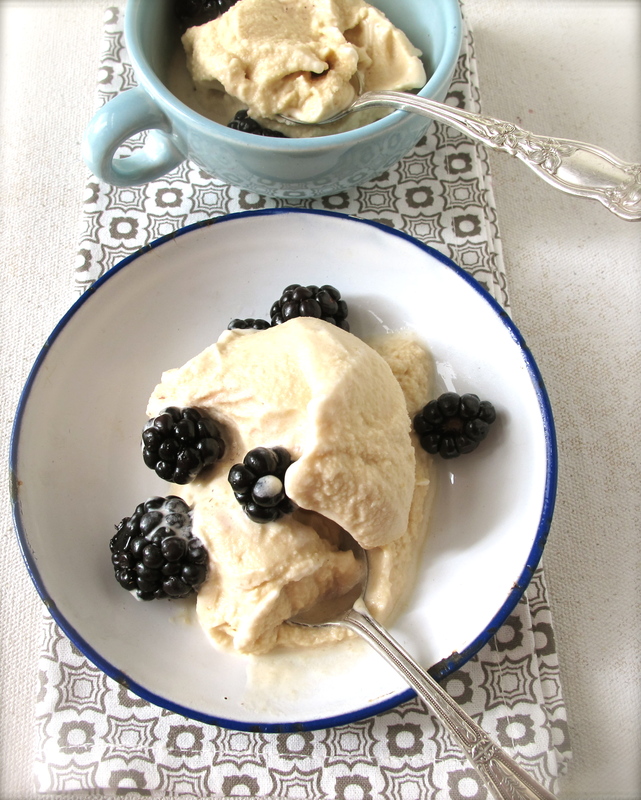 You can bet that your version of this ice cream has been classified neatly in my ‘To Try’ frozen treats repertoire. It sounds and looks delicious. Looks and sounds yummy! We had Silver King corn from the Farmer’s Market last night for dinner. I have never had corn ice cream, but it looks absolutely scrumptious…..
You know I am only a few minutes away if you require my help with tasting such a yummy treat. Pics look great, as usual! i sure would like to be seduced by that recipe…hint hint…not virtually . hint hint. Looks good… when is the sampling party? i will keep this in mind when i am back from far away. especially beautiful styling in this one,Terese. it’s so interesting that this is found in Mexico, as well as Southeast Asia. 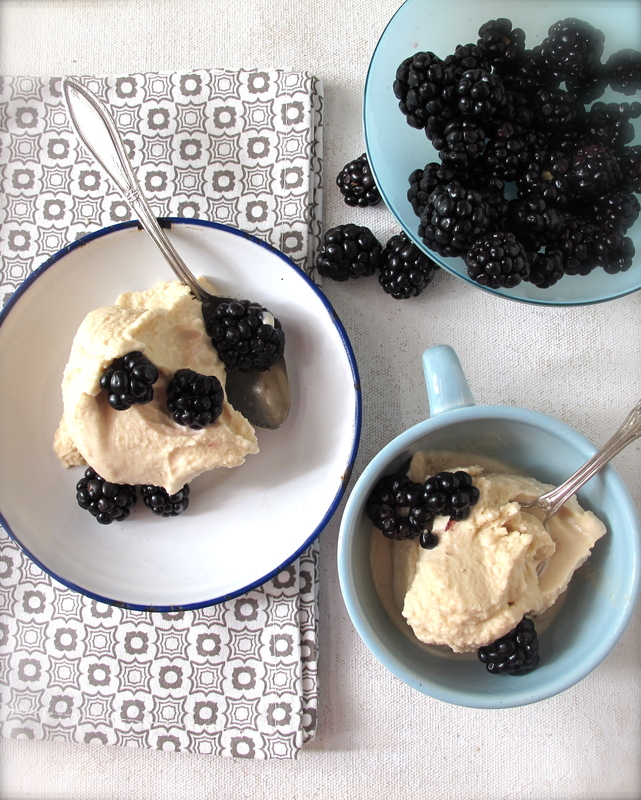 blackberries make a perfect counterpoint to the sweet corn ice cream. What a unique recipe and twist on ho-hum ice cream; I’ve never heard of cream corn ice cream before. This looks so delicious- and unique! 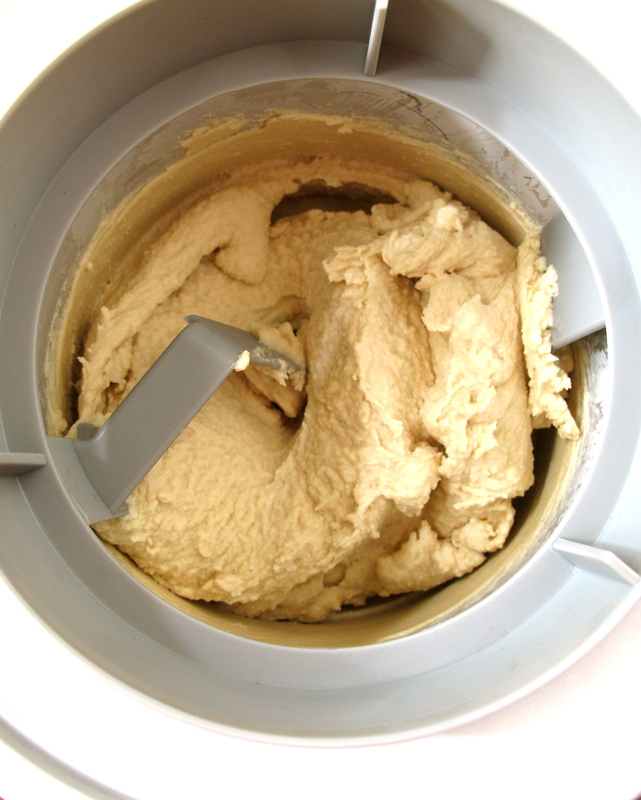 I really want an ice cream maker!